A warehouse is a large building in which products are stored. Sounds simple and, to a large extent, it is. To many companies, however, the idea of storing products in a warehouse can be intimidating. This intimidation factor isn’t helped by misconceptions that some people have about third-party warehousing and distribution, especially those who’ve never partnered with a third-party logistics (3PL) provider before. In this article, we’ll clear up some of these misconceptions to give you a clearer sense of what 3PL warehousing is – and what it isn’t. Misconception #1: A warehouse is just for storage. Small-to-mid-sized companies that are considering 3PL warehousing services for the first time are often quite surprised by the range of services offered by many 3PLs. In addition to simple storage of products, the 3PL warehouse can act as an eCommerce fulfillment center; an inbound logistics/JIT warehouse for manufacturing companies; a kitting, packaging, and rework facility; an intermodal hub; a cross docking facility; and much more. So, while – yes – a warehouse can be a simple storage facility, it can also be a place where products are inspected, transformed, fixed, packaged, and consolidated with other products. Misconception #2: If the 3PL stores it, they insure it. Many people think that, while products are stored in a 3PL warehouse, they are automatically covered under the 3PL’s insurance. This is not the case. The 3PL is responsible for insuring its facilities, people, and equipment. The 3PL customer is responsible for insuring its products. In most cases, the 3PL warehouse is added as a rider to the customer’s current insurance, or in some cases the 3PL is requested to cover a customer’s product under its own insurance (and then bills the customer accordingly). Such details must be agreed upon, however, and are never automatic. Misconception #3: 3PL costs are much higher than DIY. Many smaller companies assume that the cost of third-party warehousing and distribution is out of their price range. After all, big 3PL facilities must come with big price tags, right? The truth is quite the opposite: once all factors are considered, 3PL warehousing is often much cheaper than the alternatives. The most common alternative is for companies to perform storage themselves at their own facilities. This is often extremely cost-inefficient. Why? If we’re talking about using part of a factory floor for storage, then companies are wasting that valuable floor space on storage, when it could be used for production or other profit-generating functions. When you take this lost revenue into account, 3PL warehousing costs really aren’t that sizeable. Other companies recognize the waste in performing storage themselves but remain afraid of the perceived 3PL price tag. These companies will then resort to more “creative” measures like renting storage trailers to fill and place on their own lots. In addition to being inferior in terms of climate, sanitation, and service, such methods are also much more expensive than most 3PLs when it comes to cost per square foot. If an in-sourced operation is of significant size to warrant a warehouse management system (WMS), such systems can be quite costly when you consider the total cost of the software and training. A professional 3PL will likely have a very robust WMS to drive maximum storage and picking efficiency, and will spread the cost of the system across many clients, making it very affordable to access superior technology. Misconception #4: 3PLs will charge too many fees. 3PLs don’t operate like car dealers. Pricing is pretty straightforward and transparent. And, other than storage, there are no recurring fees. You simply pay for your chosen services when they are performed (e.g., receiving inbound pallets to the warehouse, shipping outbound pallets, eCommerce picking and packing). Misconception #5: 3PLs require long-term commitments. This last misconception is at least partially true. There are many 3PLs that require a warehousing commitment of at least one year in order to get started. However, there are other 3PLs, like Kanban Logistics, that do not have such stringent requirements and will gladly take on short-term, seasonal, or month-to-month customers. 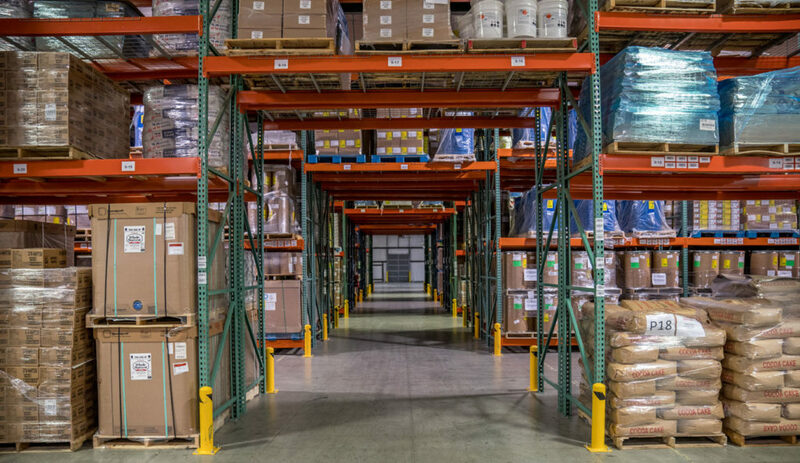 With over 1 million square feet of warehouse space, competitive costs, fixed rates, and flexible agreement options, Kanban Logistics is the ideal warehousing partner for companies of all sizes. Our ISO-certified Eastern North Carolina logistics campuses are close to ports (Norfolk, VA and Wilmington, NC), and allow for 1-day-distribution to 70% of the U.S. If your company is seeking a partner for warehousing services on the East Coast, let Kanban bring new levels of flexibility and responsiveness to your supply chain. ← Can your 3PL’s warehouse management services handle a recall?